It is with great excitement that I announce to the world our 'little secret'. We have been working feverishly behind-the-scenes to prepare a super fun, engaging site that chronicles our journey of learning to live large on a limited budget. In the process of sharing with you, we hope to make your journey to saving money a little easier. Plus, we'll have coupons, freebies, and the latest scoop on what's hot in the world of great deals. And did I mention it's going to be FUN? You'll want to be there when we GO LIVE sometime in the next two weeks. There will be contests and giveaways and you won't want to miss it! Click on the picture above to sign up for a notification when the site opens! And speaking of contests, I have a $5 Target gift card for the first commenter today! Who's it gonna be?! AND so as not to make the rest of you feel left out, I also have a $10 Rite Aid gift card OR a $5 Dunkin Donuts gift card (winner gets to choose) for one random commenter. Leave a comment saying that you have signed up to be notified about the new blog. If you have a blog, write a unique post about this giveaway and leave me a comment with a link to your post. Go sign up here and get a-commenting! This contest will be over on Friday, April 3 at 8:00 AM EST. Please make sure to leave your e-mail address or web-site so that I have a way to let you know if you win! I earned enough swagbucks for my first Amazon gift card and I'm working on my second. I think it's a conspiracy. This is the third ice cream deal I've found since giving up ice cream for Lent. And it's my favorite. Get a FREE three scoop sundae and other special offers just for signing up for the Best Friend's of Friendly's eclub. I worked at Friendly's for about 6 years in high school and college, and this still sounds yummy to me! While we're talking free food, Arby's has several more free food with purchase coupons out. These are only good until tomorrow, March 31, so print them now! Oh...why not one more? Do you have a Boston Market nearby? Sign up for their e-mail club and receive $3 off your next purchase! All right class, who here would like to get paid to shop? If you haven't printed or used the Johnson's Buddy Soaps coupons, do it now! I'm not sure how long they are available and I think they expire April 1. They were only $.97 at my Walmart, so I made $.03 per soap! This one was my favorite. Look for 'Try Me Free' peelies on the Nestle Toll House Chocolate or Caramel Filled Refrigerated Cookies. Then use this $1/1 printable to actually get paid a dollar to eat them. How can you go wrong there? If you get All You magazine, (I highly recommend it!) use the $1/2 coupon from the February issue to buy two Ortega Taco Seasonings. They were $.47 for me, so I made $.06! $.25 to $.37 each after mail in rebate! Note: Be sure to ask for two receipts if you plan to do this MIR and the Nestle MIR. I actually made it to CVS today, which usually doesn't happen on a Sunday. I wanted to get those Paas egg decorating kits, but alas they were out. Got a rain check though! I see a few more deals I might try to score this week. I'll let you know if I do. CVSing can be somewhat overwhelming at first, but just follow me and I will make it as simple as possible. For more tips on how to get started, go here. Get $1.99 ECBs for each. Use two of these coupons. *Update: I am having trouble with the second coupon. So I just signed up for two of the first--one for me and one for my husband! Use two of these coupons by hitting the back arrow after the first one prints! *Note that the coupon says 'Only at Walmart', but it is a manufacturer's coupon, so they should accept it. It worked for me at Walgreens. Just ask them to see if it works. When paying, give your coupons first THEN your extrabucks from the first transaction. $5 ECBs remaining for your next transaction! If you'd like to see more CVS deals this week, go here. BIG TIP: You will NOT receive change from the ECBs that you use. It is important to figure out your transactions carefully so that you don't end up losing money on your ECBs. BIG TIP #2: If CVS is out of stock of any of these items, ask for a rain check. Stay tuned later today for the deals that I plan to score at CVS this week! If you head out to shop, let me know how it goes, OK? And bring on the questions! I used $8 in ECBs that I already had on the first transaction and then used $3.49 ECBs from the Crest Pro-Health on the second transaction. Come back on Sunday when I will share my plan for your CVS steal deal of the week! It's the moment you've all been waiting for! As promised in a previous post, I have something exciting to share! Oh I'm sorry...did you think I meant this exciting news? Nope. Not yet. (Am I the only one laughing here? Please don't hate, you'll find out soon!) Actually, the 'something exciting' I am referring to is a response to a question I've been getting for months now. If you want to know how to become a CVSer, I've got the goods today. And as I always say, It's gonna change your life! I'm actually not kidding about that. If you don't believe me, ask my mom. She would be the first to tell you that she never thought that becoming a couponer was in her dna, until I started teaching her about CVS. 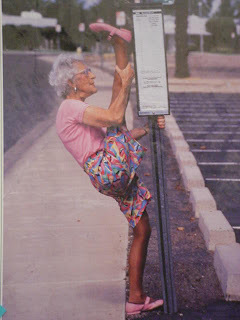 She's nearing retirement age, folks, (Is that ok to share, mom?) and has never used coupons or followed ads until about two months ago. Now she calls me each week feeling hyper (her words) about the deals that she scored. Since joining the world of the drugstore game (Walgreens and Rite Aid also have great deals), I estimate that I've saved my family over a thousand dollars. Crazy, huh? And the better I get at the game, the more money I am saving. If you’d like to join the game, I’m going to give you the simplest tutorial I know how and then leave it up to you to bring on the questions. The CVS ExtraCare Program provides shoppers with something called Extra Care Bucks (ECBs). These are ‘coupons’ that print out at the end of your receipt after you purchase certain items. The coupons are a dollar amount that can be used on your next purchase at CVS. Weekly and monthly, CVS promotes products by offering a certain amount of ECBs if you buy them. My goal when I shop at CVS is to figure out how I can get the most ECBs for the least amount of money. This means buying items that either offer a high amount of ECBs or items that I have a coupon for or BOTH, which is the ultimate deal. When you earn your first ECBs you may feel that you have a coupon burning a whole in your pocket and you should use it right away. Actually, the best idea is to save your ECBs so that you can use them when there is a new week with new deals and new coupons. Again, the goal is to figure out how you can get the most ECBs for the least amount of money. And now you have a coupon that will make it that much easier to do so! What made learning this game possible for me is that there is a whole world of resources available online. There are numerous web-sites dedicated to helping you figure out the best deals and the coupons that you can use with them. Stick with me and I will introduce you to these sites and help walk you through them. 1) Sign up for a CVS Extra Care Card. You can do so online, but I suggest just signing up in the store so that you can start using your card right away. 2) Start saving your Sunday coupons. If you don’t get a Sunday paper, it’s time to start! For tips on the easiest way to organize your coupons, go here. 3) Plan your shopping trip in advance. Check my blog each Sunday for the upcoming week’s best deals. Look through the store flyer to see if there are any deals that you don’t want to miss. 4) Take a carefully planned list and the store flyer with you, so you can be sure you are getting the exact items that are advertised. Ok, let the savings begin! Some of my best ideas come in the middle of the night. So, last night as I lay in bed after putting him back to bed, I started thinking about this little secret of ours. Some of you have been asking about it. I've been trying to figure out how we should tell you. Then it hit me. A CONTEST!! Why not have a little fun? At some point in the next 7 days, I will write a post, outing our little secret. If YOU are the first commenter on that post, I have a $5 Target gift card with your name on it. It has now been a week since I signed up for Swagbucks. Update: I am only 2 swagbucks away from my first gift card!!! It has been so much fun to watch my numbers grow with very little effort on my part. I have searched the web several times, but most of my points have come from a few people who signed up last week when I posted about this new online search engine. As they earn swagbucks, so do I! Sign up here. It only takes a minute and no credit card is required. Once you are signed up, be sure to download the toolbar and start earning bucks right away. You'll automatically receive 3 swagbucks just for signing up! Then, click on 'Promote' to find banners and links to post on your blog. If you don't have a blog, you can simply click on 'Promote' and send out an e-mail to your friends to invite them to join you in this fun new way to earn free money. It's been interesting to see how the deals I find each week all seem to follow a certain pattern. This week, I'm gonna help you stay healthy, strong and beautiful for a looong time. 1) Go here to find out how you can get up to $28.00 of Attune Probiotic Granola Bars for FREE. 2) If you know someone with diabetes, or if you simply like healthy cereal, or FREE cereal, check this out. Go here to print two $5/1 coupons per computer (hit the back button after it prints the first time.) You can also call 1-877-879-4857 (it's an automated call) to receive a free $5/1 coupon for Glucerna cereal. Most stores have this cereal for around $4.50 a box, so you should be able to get three FREE. And...if you live near a Kroger (unfortunately, I do not), the word is that if you buy two boxes of this cereal at Kroger stores, a $2.50 off your next purchase coupon is printing. SCORE! 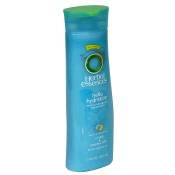 3) Herbal Essence has a new promotion out when you buy specially marked products, they will pay for a haircut for you. Go here to find out the scoop! 4) Want some free mascara? The April issue of my favorite magazine, All You, has a coupon for a free Rimmel mascara, up to a $6.47 value. All You magazine is only carried in Walmart stores at a price of $2.24. So, you can buy one magazine and still get a great deal. OR you can find out how you can get a 2 year subscription for $19.95 $17.99 here. This magazine is loaded with coupons, so you can easily pay yourself back if you use them! I should add that the mascara coupon says 'only in Walmart stores'. However, I took mine to Walgreen's and was able to use it because it is a manufacturer's coupon. Just to be safe, you may want to purchase it at Walmart though. 100 ct. CVS brand Vitamin D 400. It is priced at $2.99 and until the end of the month, you will get $2.99 in extrabucks back. Crest Pro-Health Enamel Care. This week only, you pay $3.49 and will get $3.49 back in extrabucks. AND if you happened to save your coupons from last week, you can use the $1.00 off Crest coupon from the 3/15 Procter and Gamble insert. You'll pay only $2.49 and get 3.49 back! Stay tuned for more information about how to become a CVSer. If you have not joined the CVS craze, I promise it's gonna change your life! These go FAST so hurry! Update: Sorry if you missed this coupon! If you want to be sure to not to miss any offers in the future, why not sign up in a feed reader or become a follower of this blog? Sleep deprivation is the worst, isn't it? Thankfully, after writing that post, I had a change in perspective that helped me get through quite a few more sleepless nights. But my frustration about my son's sleep habits always lay right beneath the surface of my emotions, ready to pop up its ugly head at any given time (usually around 3 am). Then a couple of weeks ago, I read an article about a couple with sextuplets. The wife talked about the point of desperation that they hit with their lack of sleep. (I can't even imagine!) She shared that when their babies were 4 months old, they simply turned off the baby monitor for two weeks and all six of them had learned to sleep through the night since. 1) They can get six kids to sleep through the night and I am struggling with just one?! 2) Why haven't I tried that? And then I remembered why I hadn't tried that. Our two boys share a room. And while, our three year old has amazed me by sleeping through hours of Lincoln crying, I could only imagine the drama that would unfold if mommy and daddy didn't come running if Griffin ever he needed us. There would be therapy bills to pay for sure. Then it hit me. Wes had to go out of town last weekend. I would let Griffin sleep in my room for those two nights and kill the monitor. So Project Sleep through the Night began once more--only I slept worse with the monitor off than I did with it on. Partly due to the fact that Griffin wanted to sleep on my head...and also that I couldn't hold myself back from turning on the monitor every hour or two. Oh, and going into check on Lincoln every other hour or two. But I stuck with the plan of letting Lincoln cry when he did wake up. This meant no running at the first peep to give him his binkie. He had to learn to put himself back to sleep. No mommy intervention allowed. It's been almost a week since the Project began. This past week, there have been several times that Lincoln has woken up in the night, fussed for a few minutes and then put himself back to sleep. What a good feeling. The night before last, he slept 10 hours straight. And at this present moment, Lincoln is going on 11 1/2 hours of sleep. Straight. CAN I GET AN AMEN?!! GLORRRRRRY?! HALLELUJAH?! Someday I hope I meet that family with sextuplets. I plan on giving all 8 of them big fat smooches. I've always been a fan of the "This is Your Life" concept. If there were a made-for-tv movie highlighting all of the events in my life leading up to my current state of frugality, I think it might look something like this. Cue soundtrack. Cut to slideshow of old family pictures. Begin voice-over of Kaley speaking. Wow, that feels weird to say. I think I had no idea how poor we were. My parents worked hard to find creative ways to keep us from feeling poor. And rarely did we talk about money being tight. But, the salary of a small country church pastor is small and our family was large, so we were definitely poor. If I had to do it all over, I think I might grow up poor again. (Although I might choose to be filthy rich the third time around!) For a lot of reasons. First of all, I learned how little I really needed. Cut to scene of young girl sitting contentedly on ugly orange carpet. I was the kid who wore her sister's hand-me-downs with pride, had no hate about the ugly orange carpet in her teeny tiny bedroom, and was completely unfazed by the fact that the guy she dated in high school had a brand new red sports car. And I promise I wasn't weird. I also learned that I liked to save my money. At some point when I was younger, my parents gave us a set of three envelopes to keep track of our money. We labeled them Savings, Tithe, and Spending. I would separate any money that I earned into those three envelopes. My favorite envelope was the one for savings. Maybe I was secretly hoping to save enough to replace that ugly, orange carpet...I don't know. Being poor also meant that I saw God provide for me a lot. When I was in college, my parents moved overseas to become missionaries in Korea. So our family's pay scale changed from poor to dirt poor. To be honest, I'm not sure how I was able to afford college. But, over and over, God showed His care for me in the form of financial provision. Cut to scene of college-aged girl in line at the grocery store, searching through her purse. Whether it was the $.25 that I found on the day that all I needed was a quarter or the $100 bills that would show up randomly from a secret provider or the woman behind me in line at Kroger who paid for the rest of my grocery bill when I didn't have enough money--I knew my lack of funds was not a problem that was too big for God. Cut to scene of girl devouring a pack of Twizzlers. I also signed up for a credit card in college because by doing so, I would get a pack of Twizzlers. By the time I was done with college, that was the most expensive pack of Twizzlers I have ever purchased. I had a good chunk of debt and little idea of how to get rid of it. I hate the mess it makes and the time it takes. And then, when it's time to look for my coupons, I hate searching through them all to find the one that I need. So I use the simplest method possible to store and keep track of my coupons. I thought I would share it with you in case you are a closet coupon-clipping hater like myself. It doesn't get much easier than this. First, a quick tutorial in case you are new at this coupon thing. I just started less than a year ago, and I promise it was all greek to me. 1) Sunday papers contain three basic sets of coupons: Red Plum, Smart Source, and Procter & Gamble. (Some regions also carry Valassis coupons, but mine does not.) Some weeks they carry all, and some just one or two. 2) There are tons of web-sites dedicated to matching up sales to coupons in stores nationwide. Rather than spending hours trying to do so on your own, why not let someone else do the work? Check out some of my favorite sites: Walmart, Price Chopper, Drug Stores, Other Grocery Stores...just to name a few. Each week, I take the coupon inserts out of my paper and I use a sharpie to label them with the date. Then I file them away, without clipping them. As you look for the deals online, you will note that the sites use the name of the insert and the date the coupon was in it to indicate what coupons you should use. For example, if a coupon was in Procter & Gamble the week of March 1, the coupon will be labeled: PG, 3/1/09. So you can just open your handy dandy file folder, grab the 3/1 insert from the PG section, and clip the coupon that you need. But wait, it gets better! I know that some of you may actually want to know what coupons that you have, in case you need to use one that isn't listed on a site. Have I got a deal for you! I am going to post a weekly database that lists all of the coupons from the Sunday paper in alphabetical order. I will update it each week so that it is current and all expired coupons have been removed. So, if you need to know if you have a coupon for Lysol toilet bowl cleaner, you can just open the database, scroll down to the L's and BAM! your question is answered. Look for a link to the database on the right hand side of my blog for easy access. HOLD THE PHONE!!! I just found out that there is an online database for coupons ALREADY. Just go here to register and then you can search for coupons to your heart's content. Their database will also list printable coupons that are available...SCORE! This is why I love the world of money saving bloggers...there is never a need to re-invent the wheel. THANKS, SHARON! I would love to know if you have any questions. I really want to be a resource, particularly for those who are new to this whole coupon thing. It's easier than it seems! Money-Saving Monday: Wait, there's more! Remember these fabulous coupons? Well, they're BA-AAACK!!! If you print out each of these coupons twice (hit the back browser after they print the first time), you should be able to print enough coupons to score as many as 16 FREE Buddies soaps. I've found them at Wegman's for $.99 and I think they may be about the same price at Target. They are usually $1.19 at CVS, but sometimes go on sale for $.99. Note that I've listed links for both Internet Explorer and Firefox, depending on which browser you use. I just printed mine and they expire April 1, so hurry up and print yours today! Update: I seem to be having a problem printing the last two coupons. Let me know how it works for you! One of my favorite ways to save money is to take advantage of every possible offer that will let me earn money for little or no effort. I'm a sucker for 30 day free trials (and have only been scammed once...but that's a story for another time.) Last night, I signed up with Nielsen TV ratings to keep track of our tv viewing for a week for $30. Mail-in Rebates? I'm there. The way I see it, by signing up for these offers, I'm earning free money. And who doesn't like that? So for this edition of Money-Saving Monday, I thought I'd let you in on my favorite 'free money' sites. Sign up for these and you'll be saying, "Cha-Ching!" in no time. MyPoints: Earn points by reading e-mails, signing up for offers, and shopping through their site. Then redeem the points for gift certificates from their extensive list of merchants. I've been a MyPoints member for years and have earned hundreds of dollars of gift certificates. Right now, I consider MyPoints to be my home furnishings savings for when we buy a home. Go to mypoints.com to sign up, or better yet leave a comment with your e-mail address and I will send you a referral and earn 250 points! Swagbucks: I just signed up for this site, but am pretty excited about it because of all the buzz. 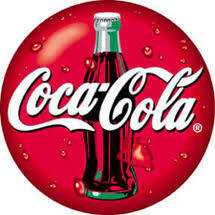 It's an online search engine that rewards you for searching online. It's very easy to sign up for and once you download the toolbar, you'll start earning points just by searching the web. After only 45 points earned, you can get a free Amazon gift card. Or at 50 points, you can get a Starbucks gift card. There are dozens of other prizes, too. You can also earn points by referring your friends. You'll not only instantly earn more points when they sign up, you'll also earn points for the searching they do online. What are you waiting for? Sign up now! Upromise: Sign up with your grocery or drug store card and save money for college as you shop. The savings are a little slow, but you can speed things up by signing up for monthly eCoupons and asking friends and family to sign up as well. Hey...it's free money! Pampers Gifts to Grow: Earn points for every package of Pampers diapers or wipes that you buy. Use those points to earn a long list of rewards. Kind of makes me feel better about changing yet another messy diaper. Many of you are probably unaware that I suffer from a malady called Seasonal CPS. It seems to really flare up every year around this time. This past week I have suffered with an unusually bad case. If you are unaware of the meaning, it stands for Seasonal Cranky-Pants Syndrome. And I've got it BAD. Since I live in New York, I do my best to brace myself for the long cold winters. We try to be creative with our indoor time--reading, coloring, dancing, learning, lots of sesame street and curious george. We even occasionally brave the outdoors. At least long enough to get pictures--proof that I am a good mom. But around about the fifth month of frigid temperatures and cloudy days, I start to feel a little loony. No. Scratch that. A LOT loony. This week I decided that CPS must be genetic, because I'm pretty sure my son has inherited a case of it. The other morning, in complete desperation, I picked him up, threw a coat and some boots on him and tossed him outside with strict instructions not to come back in until I said so. Don't worry. I let him in before dark. Well, today I am pleased to announce that Mrs. Cranky Pants has left the building. The sun is shining, the birds are singing, the screen door is open and it's over 40 degrees! Do I hear an amen?! Part of my euphoric state could also be attributed to the fact that I ran a St. Patrick's Day 4-mile race with my sister this morning. PLUS...I went and took advantage of these deals yesterday. Take a look and then cast your vote! happens to be a super fun babysitter. Just gotta share a couple deals to make Mama happy. The $5 and $3 Huggies coupons have been reset here. So if you already printed two out, you can go back and print two more now! Then, I recommend going here to find out how to get an amazing deal on Huggies diapers at Walgreens this week! 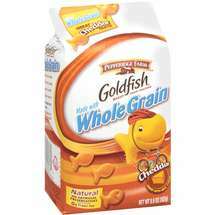 Target has Pepperidge Farm Whole Grain Goldfish Crackers on sale this week from $1 to $1.79, depending on your store. Use this $1 off 1 coupon to get them for $.79 or FREE!!! 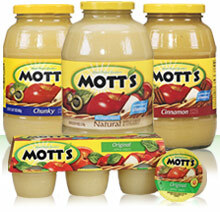 While you're there, pick up some Mott's Applesauce for only $.22! Just use this $1 off 1 Target coupon, combined with this $.55 off 1 Mott's Applesauce coupon. You should also be able to get some free broccoli if yours is a Super Target. Just use this $1 off 1 coupon! Thought I'd add one more option for your night out. From now until April 28, 2009, you can use this coupon in your local Border's store to get a free mocha or latte when you purchase one of equal or greater value. Alas, we have no Borders nearby, so please enjoy one for me! Wes and I have been wanting to go on a double date with my brother and his girlfriend for about 6 months now and this weekend, we finally made it happen. As we talked about what to do, I asked if I could find us some good clean cheap value-conscious entertainment. They humored me. I thought it would have been fun to use this coupon to get our fries at Wendy's. But the coupon hasn't arrived in my inbox yet. Oh well--who needs all that trans-fat anyway? Next, it was onto Barnes and Noble. I had a gift card to use here, plus this 10% off coupon. So I saved about $.30 on my caramel macchiato. Hey...every bit counts. Then, we headed to Auntie Anne's--one of my favorite places on the planet--and used this Buy One Get One free coupon. Thankfully, the pretzel was much better than the customer service. Our final stop was going to be a Redbox to score a free movie, but we opted to play a game instead. Which turned out to be fun because I won. I am a Triple Yahtzee Ninja. Definitely a quality evening. Thanks for being such good sports, Ryan and Macia! Sign up here for a free sammie (sandwich--in case you aren't a Quizno's aficionado) at Quizno's with the purchase of a side and a drink. Do you have a Melting Pot nearby? Sign up here for the Melting Pot club and you'll receive a FREE chocolate fondue for two. Wanna go to the movies without having to take out a loan to buy snacks? Here's a free large popcorn at any AMC theatre. Update: This album is no longer available for $.99. Sorry! Do you ever look at your life and wonder, "How did I get here?" Lately I've been asking myself that question about the frugal, deal-seeking, coupon freak fan I have become. Less than a year ago, I would have told you that yes, I liked to save money. But coupons were those pretty papers that I threw out with the newspaper and my idea of thrifty was filling up my diet coke to the brim when I left McDonald's. Now I'm making my own baby food. Whaa--what?! In fact, a friend e-mailed me today after reading my blog and asked me what has happened to me. How did I become so interested in this world of saving money? And so, I've been thinking. How did I get here? It's a really good question to ponder. For those of you who don't know, my husband was laid off almost a year ago. Since that time, we have experienced a variety of new and different life situations, including the birth of our second son, some temporary employment positions, and months of no job at all. This, of course, was the kick in the pants that I needed to begin seeking out new ways to cut costs in just about every year of our lives. I really didn't want to. But I had to. So, I guess that's how I got here. Because in the past year, in spite of both cars breaking down and me giving up my job, and the birth of a new baby, and our vacuum cleaner going on the fritz and life happening, we have managed to make it without ever having to touch our savings. And it wasn't because of all the extrabucks I earned at CVS. I'm thinking about taking a trip down the road aways to explore 'how we got here'. It's sure to include glimpses of my childhood, my life as a poor m.k. college student, and my marriage into the Ehret family. In fact, I've asked Wes if he'd like to share a 'guest post', which promises to be fun. Mostly, I think it will be about a journey down the path of God's grace. Lincoln just turned 6 months old. I'm running a 10-mile race in May with my cousin. Griffin asked if hot dogs were a vegetable the other day. I gave up Oprah for Lent. I am so looking forward to the end of Daylight Savings Time. I think the way they are doing American Idol this year is cheesy. At first, I was just going to give up ice cream. And why birds don't wear underwear. But then, I just made a chocolate cake instead. How do my children sense when I am up early? Lincoln used to sleep in the bathroom. Do they smell me? I just ate some chocolate cake for breakfast. Now he sleeps in Griffin's room. I'm doing just fine without her, thank you. I am in love with the children's play area at Wegman's. I'm not even Catholic. Is it ok to bribe my son with a fruit roll up to stay in bed? Wes and I have a secret. No, not Lincoln. I'm not pregnant. And why girls don't have beards. We'll tell you soon. So far, I have only run 3 miles. Griffin used to sleep in until 8:30 or 9. I'm pretty proud that I just taught myself how to cross off words. Arby's roastburgers are yummy. I am so looking forward to the end of Daylight Savings Time. Oops. I already said that. Griffin sings "Shot to the Heart" every day. All day long. I read a story about a mom with sextuplets last night. Is that wrong? I just noticed that Lincoln is working hard to push himself forward on the floor. I just got a whole bunch of free stuff from walgreens. When they were four months old, she and her husband turned off the baby monitor so they would learn to sleep through the night. I love to kiss my son's cheeks. They did. Let's see what Lincoln thinks about Baby Einstein. I guess I'm not as tired or busy as I thought I was. Actually, I've run more than 3 miles--just not all at once. He likes it. I cannot wait until I can sit out on my porch in the morning. Why didn't I think of making videos of pretty pictures and classical music? I promise I'm not pregnant. Go here to download the new U2 album, No Line on the Horizon, for only $3.99. Go here by 11:59, CST TONIGHT to get your FREE $20 gift card for dillyeo.com! 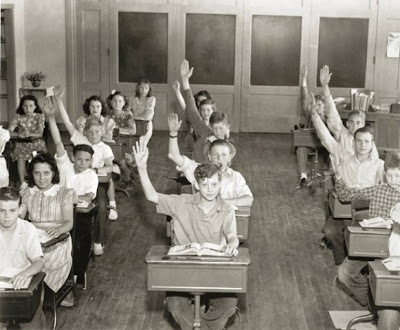 Raise your hand if you're excited that it's Money-saving Monday again! 'Cuz I've got some sa-weet deals for you! Wanna receive free stuff for joining the brand new Victoria's Secret PINK Nation? I just did and got a coupon for a free gift and $10 off a $35 purchase, valid until March 31 . (Word on the street is that the free item is a PINK tote.) You'll need to bring a photo ID with you when you use the coupon. Hey...ya gotta love FREE! Doesn't that make you hungry just looking at it? Go here to download a coupon for a free Roastburger with any drink purchase at Arby's. It's valid through March 9. Are you thinkin' Arby's? I know I am. 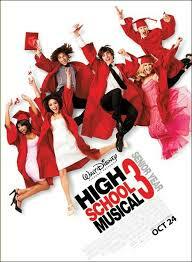 Wanna save $10 on High School Musical 3? Right here, Right now print the coupon below and the Mail-In Rebate--hey, it's Now or Never. My Wal-Mart is still selling it for $19.98, but I've heard that some have it on sale for $10...which would make it FREE! Does anyone know a store where you can get a good deal? If so, let us know 'cuz We're All in this Together! Don't ya just love Mondays?